This section describes how to configure applications for Application Launcher use. 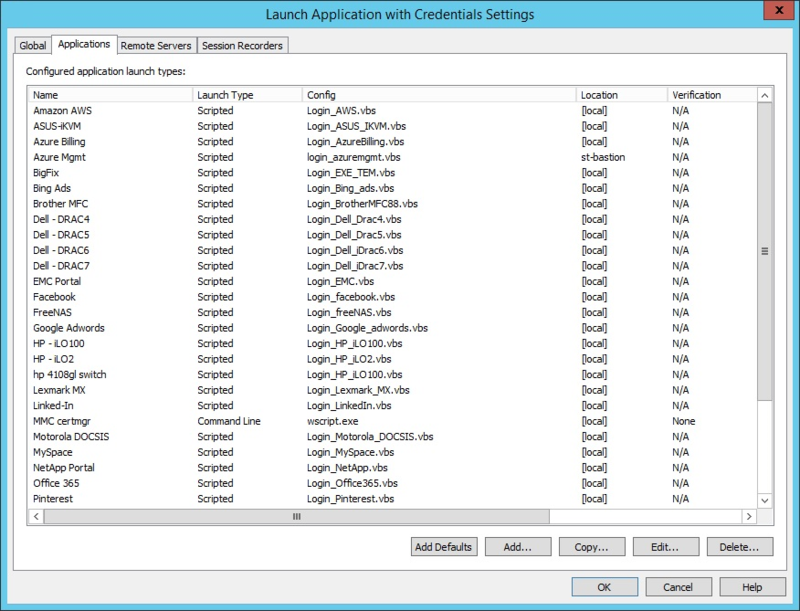 Privileged Identity includes a number of application launching scripts. Most scripts require additional configuration before they can be used to launch applications. To add new applications, click the Add button. Duplicate or edit existing items by clicking Copy or Edit. After adding an application, you must configure the application.